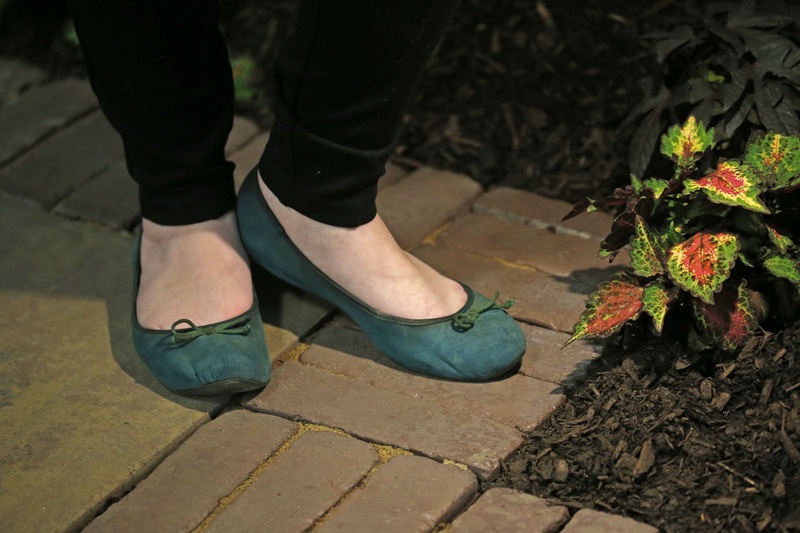 Who she is: Director of education at the Buffalo and Erie County Botanical Gardens. 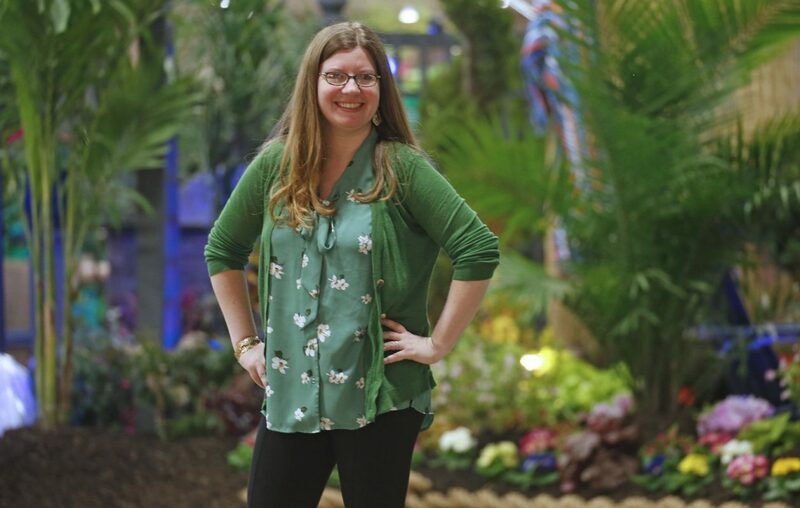 She oversees the Children’s Garden at Plantasia in Paradise, the garden and landscape show continuing through Sunday at the Fairgrounds Event Center and Artisan Hall in Hamburg. She is a board member of PLANT WNY, which presents the show. 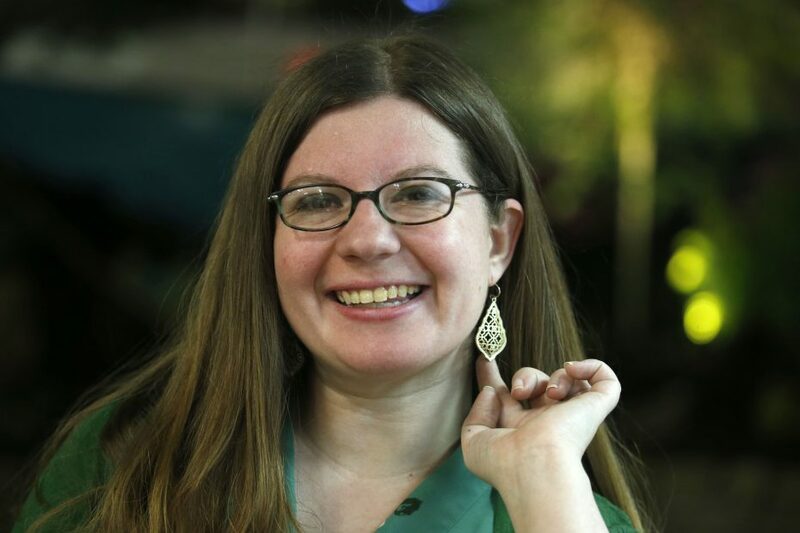 The Arcade native earned a bachelor of science degree in natural history and environmental interpretation from SUNY College of Environmental Science and Forestry. “We’re giving voices to things that don’t have one," she said. Mosses and trees, for example. 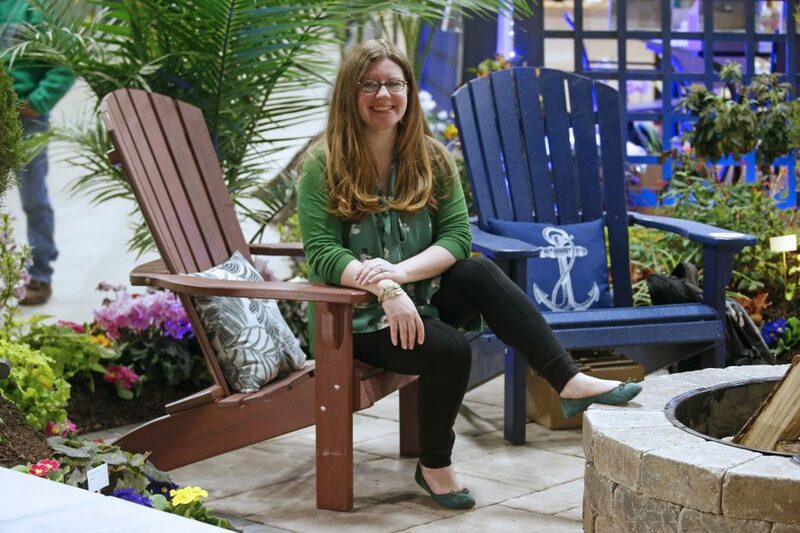 She has a master’s degree in science education from Syracuse University and is a CNLP (Certified Nursery Landscape Professional). She and her husband, Travis, live in South Buffalo with their 2½-year-old daughter, Linden. What she’s wearing: LOFT green cardigan she bought “gently used” at Clothes Mentor; green tie-neck blouse with hibiscus-inspired print from TJ Maxx; black Stevie pants from Old Navy (“my new favorite pant”); green ballet flats from Target (“I actually wore them to my wedding”); two gold bracelets with leaf accents – one from Clothes Mentor, the other from Kinsley Armelle; and drop earrings in gold filigree from Kendra Scott. Fashion statement: “What I wear has to be comfortable, casual and presentable, and it also has to be something I don’t mind getting dirty. 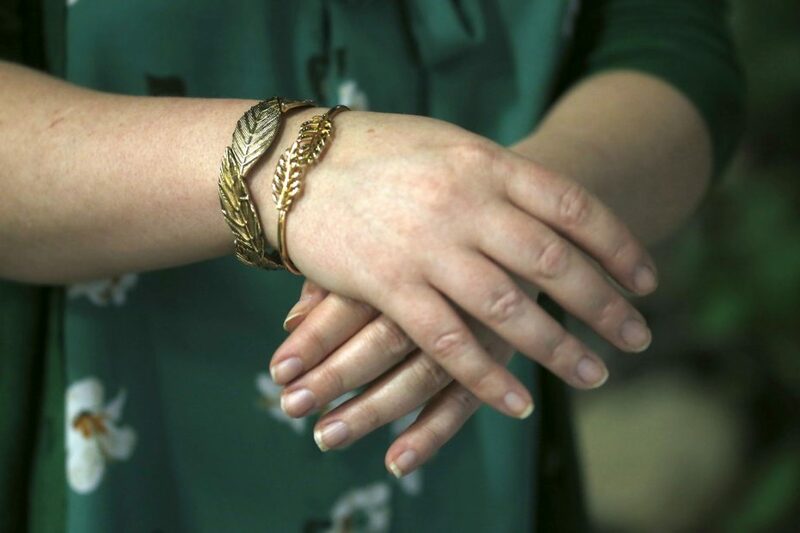 I work with kids all the time – both here (Plantasia) and at the Gardens – but what I’m wearing has to transition well if I have a meeting later in the day,” she said. Last thing purchased: Another green cardigan that’s a little thicker and more emerald than the one she is wearing. In the market for: New eyeglass frames with green in them to replace the frames she has worn for 10 years. She’s open to any shade of green except one. "Not neon," she said.